We suspected this all along: people want to be engaged with their own healthcare. Our suspicions were confirmed by researchers in the U.S. in a study published in the European Journal of Human Genetics, as well as by researchers in the U.K. via survey results presented at the annual meeting of the European Society of Human Genetics. Researchers at the Icahn School of Medicine studied 35 healthy participants’ attitudes about whole genome/whole exome sequencing. They found that curiosity about their family origins and a desire to learn about the health conditions to which they might be predisposed were the main reasons for the study subjects’ participation. They also found that their participants didn’t want to be passive about their results. A whopping 94% of people in the study wanted to be able to keep their genomic results, and more than 91% of those folks wanted their genomic data to be linked to their identities. However, that doesn’t mean that trust and privacy didn’t come up. The study participants were all members of the medical school’s community, and they expressed a significant amount of trust in the institution. However, only about 37% of the participants were willing to share their data with NIH’s Database of Genotypes and Phenotypes (dbGaP). In the U.K., researchers conducted a web-based survey of nearly 7000 respondents about genetic data return. In it, researchers led by Anna Middleton of the Wellcome Trust Sanger Institute found that “[n]inety-eight percent of participants said they would like to know about genes linked to treatable conditions that were serious or life threatening, even if the chance of such a condition occurring was only 1 percent.” [Source: GenomeWeb]. The U.K. survey also found that nearly 60% of respondents wanted to have their own genomic data returned, even if they wouldn’t do anything with it. These results are fascinating, but not altogether surprising. 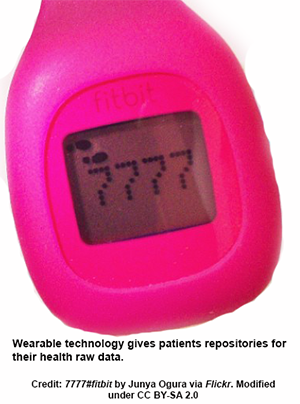 Wearable technology and other innovations, as well as increased attention on and education about genomics and personalized medicine from patient advocacy, pharmaceutical, and industry groups have made people more aware of the possibilities for their health data. 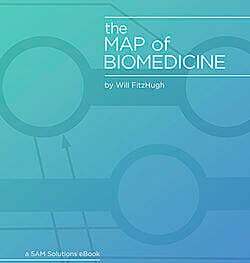 For those of us developing technology solutions for the life sciences and healthcare spheres, this is a tremendous opportunity. Our customers’ customers want simple, shareable, secure data that they can use to make important decisions about their and their families’ health. 5AM is listening. Read about our work on Pfizer’s Blue Button Plus initiative to see how patients can get their lab data returned following a clinical trial.